Audio: kj52 podcast: "Why your music isn't connecting..."
Unite gets off to a raucous and, well, “hype” start with the album’s lead single “Get Hype.” Already getting plenty of airplay on Air1, “Get Hype” is a fun, crowd warming electronic track that should have mainstream hit written all over it. Pumped chock-a-block with ground shaking beats, speaker rattling bass and in-yer-face energetic fun lyrics, “Get Hype” is a massive deviation from the sound found on their first album and may catch many listeners by surprise at first but it’ll only take a few seconds for those fans to be caught up in the track and losing their minds as their feet dance all over the place quicker than they know what’s going on. There’s no lyrical depth to be found here “Ready, set, go, get up get loud, tell everyone you know, around the world, from left to right, it starts tonight” but “Get Hype” pulls absolutely no punches and gets Unite off to a hundred-mile-an-hour start. 1GN take their foot off the accelerator a little bit on “The One” as they proudly put their faith up on a pedestal for all to see. Synths and a steady prominent beat provide the backbone for a track that declares our God is “the one who’s always by my side.” It’s that backbone that combines with a few well placed electronic breakdowns and drops that elevates this song from just being an all out worship song to a track that’s sure to keep the listeners’ feet dancing and Unite off to an energetic start. Filled with beautiful harmonies, “Guard Your Heart” tackles the busyness and hardships of life weighing our souls down and encourages the listener to “keep your faith and guard your heart” and that they are a “diamond in the rough”, no matter what’s going on around us. Comforting in nature, “Guard Your Heart” is sure to be the soundtrack to many teenage girls’ lives as they tackle school and the resulting challenges. Following on from where “No Filter” left off, and in a similar vein to “Guard Your Heart,” “Haters” encourages the listener not to believe all the haters on social media and that God loves them just the way they are. Carrying a similar swag to Taylor Swift’s “Shake It Off,” “Haters” also touches on Matthew 5:44 and the principle of loving your haters, with the hook “haters gonna hate, love them anyway, no matter what they say, love them anyway” set to undoubtedly become an earworm for many a listener. Musically, “Panic” comes out of left field, with strings and piano leading the way, showing the group’s diversity in the process. Taking us on a journey from being afraid and wanting to run away from the hardships of this world, to being secure in the knowledge that God’s by your side and His power simply can’t be tamed, “Panic” is sure to provide courage for many. The fun synth filled vibe is resumed with “Impossible,” an infectiously joyous track detailing how there’s no “Impossible” with God, especially when it comes to our dreams. “I used to say the sky was the limit, but you’ve opened my eyes to what’s really true.” Accompanied by some subtly crucial guitar and piano sounds, the candy coated pop synths throughout are delightfully upbeat, but it’s the lip smackingly good drop towards the end that really elevates this song to the next level. “Smile” keeps the infectious, smile-inducing pop tone going as we enter Unite’s final chapters. Centered around how infectious and joy inducing just one smile can be, “Smile” will have listeners dancing and clapping throughout as they ‘smile’ from ear to ear, singing praise unashamedly to God for his sacrifice upon the cross wherever they are. If you were to substitute negative and degrading messages into 1GN’s music and place them in the secular arena, they’d fit right in and be topping the charts. That is to their credit, and is their biggest selling point though; there aren’t any negative, or degrading, or immoral, messages to be found here, just positive and uplifting ones. 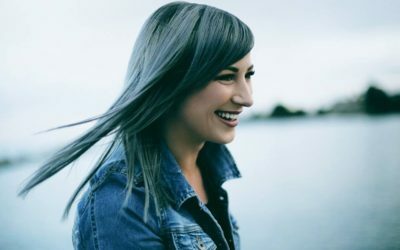 1GN are set to be both positive role models for thousands of teen Christian girls, and be considered this generation’s Barlow Girl and Jump5 thrown into one, with some Owl City dance synths thrown in for good measure. From the smooth vocals of all three members and the punchy raps of Lauryn, to the infectiously joyous and dance inducing synth packed soundscapes, to the unashamed Christian themes, to the encouraging and uniting messages, and the flawless performance of it all, there’s little wrong to be found on Unite, if any can be found at all. Carmen, Kayli and Lauryn have well and truly delivered, and then some. Unite blows their debut release out of the water and is set to blow down the doors to a much wider audience for themselves as well. Expect to hear the likes of “Cinema,” “Impossible,” and my personal favourite, “Unite” having huge success at radio, and expect to hear the name 1GN for a long time to come. They’re here to stay, and I, for one, am looking forward to what the future holds for this terrific trio. Now, let’s “Get Hype” and “Unite” to do the “Impossible” and spread the good news of Christ to all nations! The brand new music video for “Get Hype” can be seen on the website here. My interview with the band will be posted later today. ABOUT 1GN: 1GN, comprised of Lauryn Taylor Bach, Kayli Robinson and Carmen Hadley, blends upbeat, relevant pop music, with lyrics that are focused on one united message of overcoming hate with love, and living boldly for Christ, even while having fun. Their self-titled debut album 1 Girl Nation was released in August 2013, which reached No. 2 on Billboard‘s Heatseeker Albums chart and No. 9 on Billboard‘s Top Christian Albums chart. 1GN has played on more than 80 “Secret Keeper Girl Tour” concert dates, co-headlined the “While We’re Young” Tour with OBB and performed at Disney’s Night of Joy. The group earned a “New Artist of the Year” nomination for the 45th Annual GMA Dove Awards. Their sophomore album, Unite, will release April 15, 2016.